This could be a wii game, a board game, a play set they would all enjoy, etc. For this category, I picked a board game for each of them. Pretty self explanatory. They each got a boxed set of books they enjoy. I went with cute Pj’s and slippers for this category for when we are roaming the halls of Great Wolf after Christmas. But it could obviously be anything like a cool scarf, a new pair of shoes, a shirt. Just a small wish list item. P wanted me to re decorate her room for Christmas so she’s getting a new quilt for her bed and some art work for her wall. The other two wanted a puppy surprise. This is our first year doing something like this and I really liked having a little check list to go along and it kept me from going insanely overboard. I found some cute little felt shaped tags at Target and assigned a category to each shape. 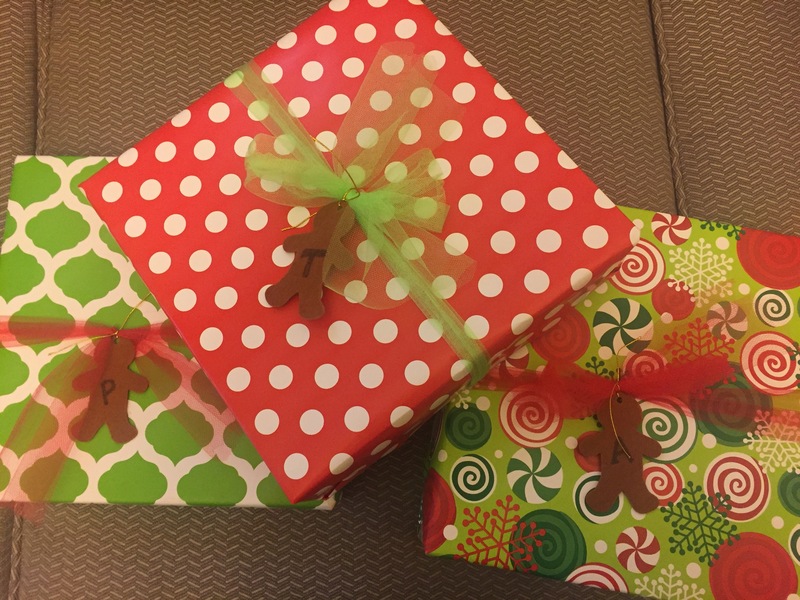 When it’s time to open gifts, we will hand out all the gifts with the same shape out together that way they are all opening their pjs together or their books together. Should be fun! We asked Grandparents to gift experiences rather than toys as our children are fortunate to already have so much. We suggested a trip to Greatwolf Lodge, gymnastics classes, horseback riding lessons, ballet classes, museum memberships, etc. Making memories is really better than any toy at the store! Do any of you do something similar for your kids? If so, what are your categories?